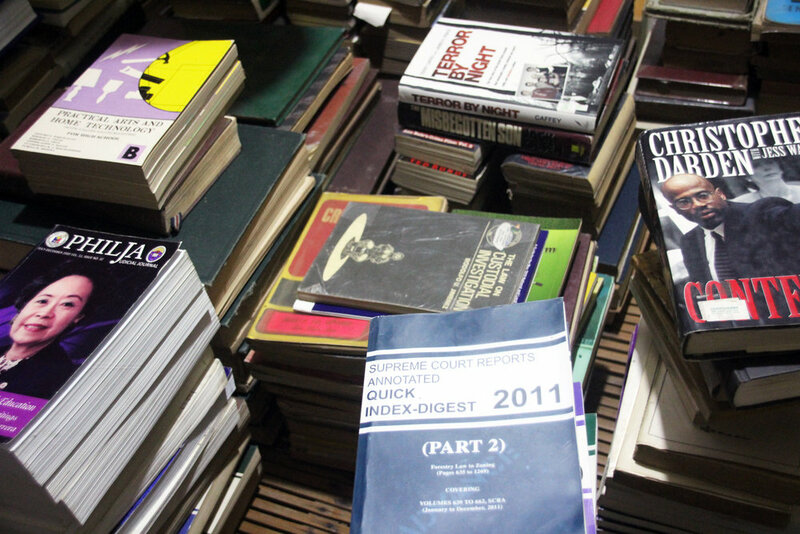 There is a lot to learn from studying a person’s book collection. The titles, the subjects and beyond that, the hopes and passions that sit between the pages. This particular library, like most others contain not just books read, but those that have been abandoned or saved for later reading. 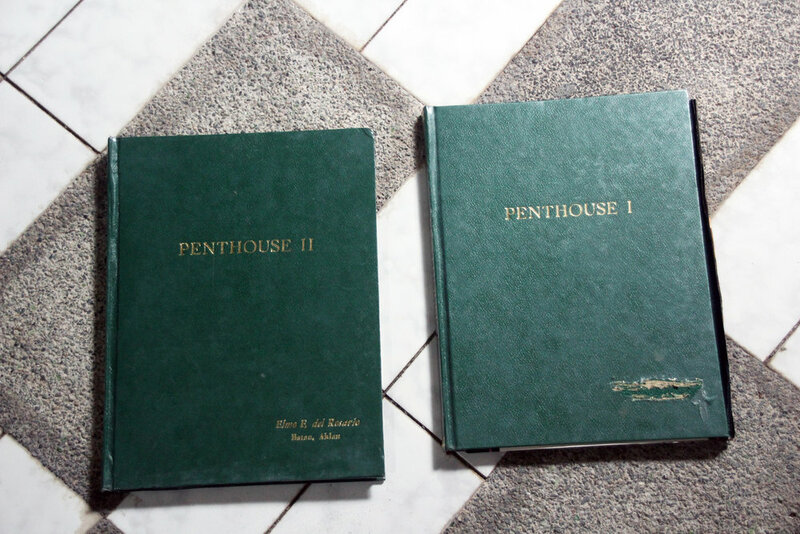 The collection shows the scholastic journey of Elmo F. Del Rosario from highschool, all through post secondary and law school. 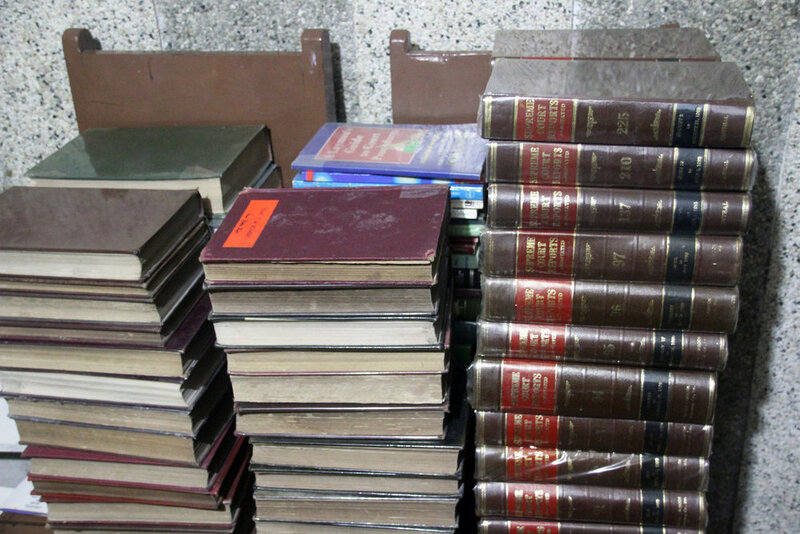 The books he read through his years as a prosecutor and later as Judge has also been saved. Some books are underlined and have notes on the margins in the parts of particular interest. His recreational reading consisted of true crime novels, murder mysteries, biographies on political figures, infamous cases and historical events. There are self improvement books and volumes of green jokes and men’s magazines. 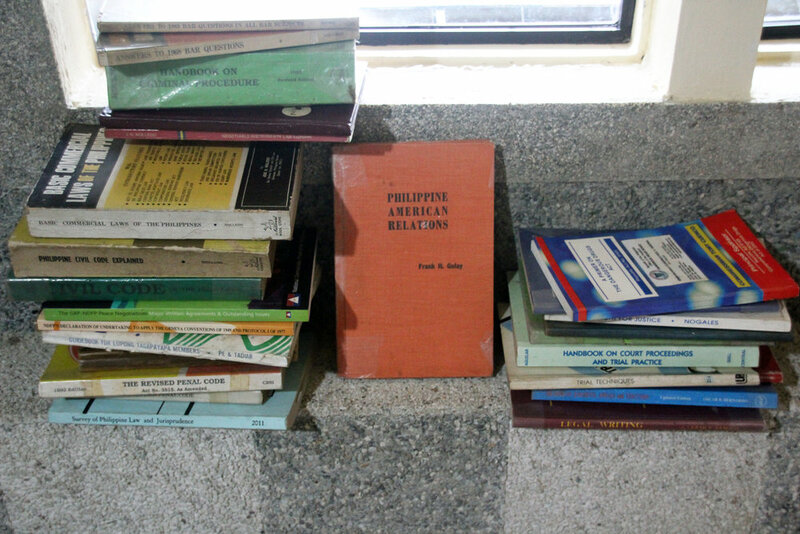 Stacks of English and Spanish dictionaries, dictionaries for law and insurance as well as a glossary for diplomatic and consular practice are kept for reference. All these books and magazines create an illuminating view into the inner life of Elmo. Not all the books from the library are documented in this article. Because most of the fiction and paperbacks have been donated to the Kalantiaw Shrine Library, it was important to have a record of them before they were passed on. A selection of these have remained however, chosen for their enduring relevance, cover and sentimental value. The encyclopedias, hard cover reference books and leather-bound volumes about all aspects of law and government have also remained. Those will forever be part of the house and family, but ultimately left out of the article for their special history reserved only for close family and friends. Judge Elmo F. Del Rosario was never known to be particularly expressive with his words. He was perfectly content sharing silence with his loved ones. This can be unnerving and frustrating to those desperate to know him. But in the silence of his death, the words of others he voraciously consumed speak so loud and clear. For years the books occupied the library which sits in the garden level of the house. It was cramp, dark and was uncomfortable to be in. The decades of dust have provided shelter for lizards and cockroaches and mites that declared their presence in the most subtle but effective ways. Also hidden under the dark and dust are termites, happily feasting on the books undisturbed. For many years this was how things were, for various reasons and circumstance. 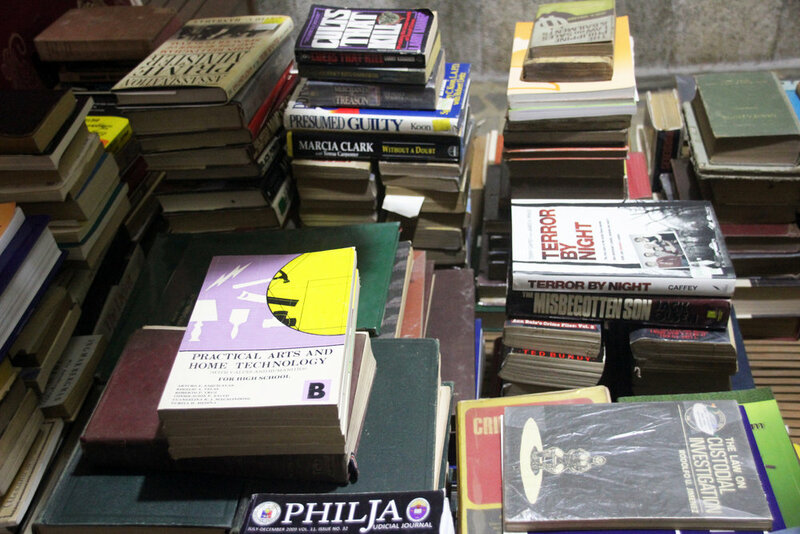 The books featured in this article are the ones left in the library that survived the years of weathering, dry wood termites, devastating floods and neglect. Cleaned and sorted, they are ready to be consumed by the next generation of readers. G A G is one of several custom bound books found in the collection. 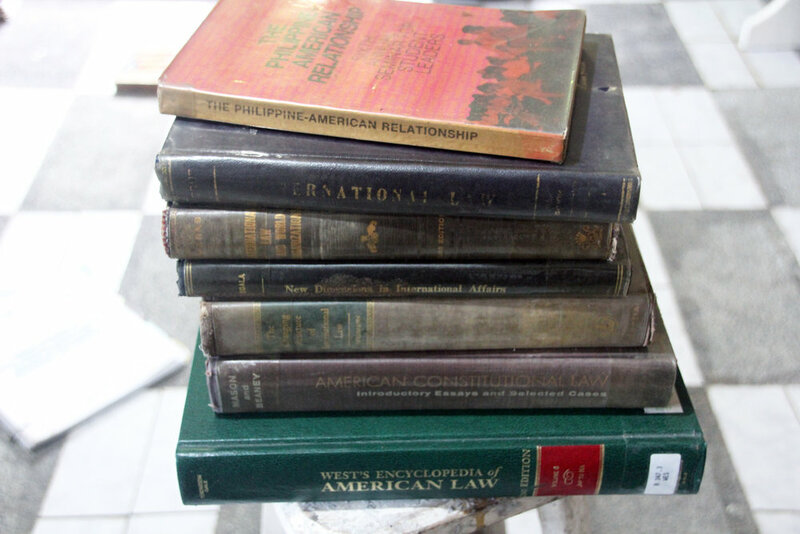 Filled with unexpected dirty cartoons collected from various men’s magazines in the 70’s and 80’s, the hard cover was enough to camoflauge the lowbrow humour among the serious volumes about constitutional law and the Philippine civic code. Most likely, there will be another article to cover the books and paper documents in the storage room. Stacks and stacks of historical brochures, letters, novels and notebooks are sitting in the dark storage unit, ready for sorting. There will surely be some great finds among the paperwork, that will reveal another dimension to what is known about Judge Elmo F. Del Rosario and the family.